This would be a great boot drive for SSD newcomers. The best upgrade you can give an aging PC is a solid-state drive, full stop. Going from a traditional hard drive to an SSD can make your computer feel like new again, but fully swapping out your spacious hard drive for a speedy SSD can get expensive. Today, Amazon has a good middle ground alternative to going all out with a dedicated SSD. 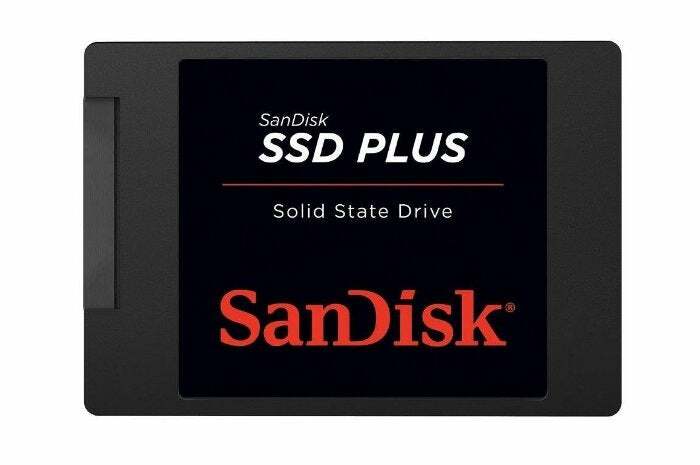 A 120GB SanDisk SSD Plus is just $44 at the online retailer today. That’s the lowest price yet for this $65 SSD, though it's been hovering between $50 and $55 for a while. Still, $44 for an entry-level SSD is a stellar price, especially for one from a big-name storage brand. The capacity clearly isn’t enough for most people’s needs, but this little SSD would be a great boot drive for people who already have a hard drive in a desktop PC, or in a laptop with a storage expansion slot. The end result would be a hybrid setup with Windows and your most-used programs sitting on the SSD—and enjoying blisteringly fast SSD speeds—while most of your documents, media, and other files reside on the secondary hard drive. We’ve got a tutorial on how to move your Windows installation to an SSD if you need help. This drive is very basic as SSDs go. It doesn’t have any of the fancier features we see nowadays, such as 3D NAND or the teeny-tiny M.2 form factor. Still, this 2.5-inch drive promises performance that is 20 times faster than a hard drive. The change in boot times alone will be noticeable even with an aging Windows 7 computer. Once you’ve experienced the wonders of life with an SSD, our round-up of the best SSDs of 2018 can lead help you kit out your system with even faster and more spacious options.